The poor performance of the state owned electricity company the National Electric Power Authority (NEPA), has provided the impetus for the establishment of the Power Holding Company of Nigeria (PHCN). However, despite the power sector reforms in Nigeria the country has continued to face massive challenges in the generation and distribution of electricity. The earliest arguments for state intervention in the context of developing economies can be closely linked to views held by development economists such as R. Prebisch and H. Singer on the conditions necessary for import substitution industrialization in developing economies and the obstacles posed for it by the international division of labor (Olukoshi, 1993). However, as a result of the implementation of the world bank economic reforms programs such as structural adjustment, development economists and agencies encouraged private capital flows to the developing world and propagated the position that the private sector would be the provider of investment in infrastructure and public utilities in poor countries. As a result, there has been a drastic reduction in their shares of state ownership from 16 percent to 8 percent of GDP between 1980 and 1996 (Auriol and Blanc, 2009). The proliferation of the transfer of public ownership to private ownership between the 1980s and the 1990s was sparked by the poor performance in most instances of public corporations. Kornai (1980) suggests that the performance of these enterprises are at times induced by the lack of any commitment on the part of the government to not to bail out or subsidize money losing firms. Along the same lines, Kornai (2001), and Schmidt (1996) posits that the government of most developing countries that promotes public corporations use soft budget constraints to allow less efficient firms to rely on government. Thus, they suggest that government is in the business of adopting paternalistic or political behavior as they attempt to save jobs and increase employment. 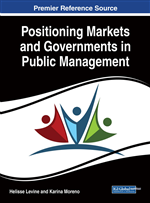 To this end, Debande and Friebel (2003) concluded that privatization is an alternative that will improve the public corporations productive efficiency.